Biology students were investigating whether cell samples were cancerous or not by calculating the percentage of cells undergoing cell division. 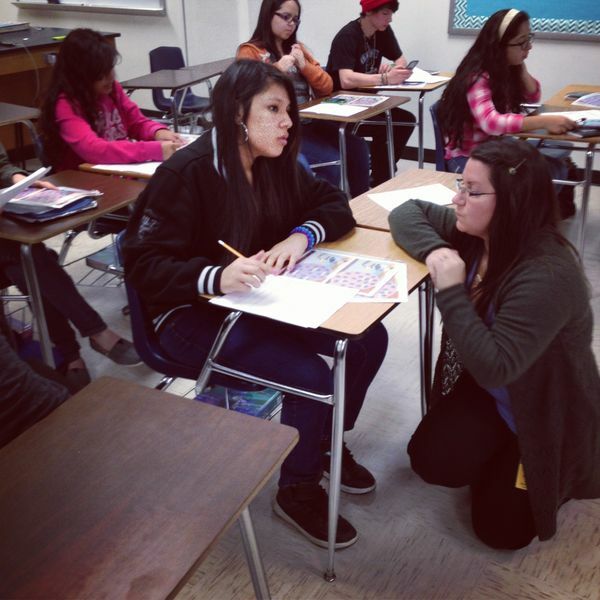 In this picture, one of our new student teachers takes a one-on-one roll with a student, helping her through the process by only asking questions, not by just giving answers. I wasn't in class long, but I learned about cancer tests and how the process of determining whether a person has cancer is actually not that complicated.